New Orleans and Chicago are more than 1,000 miles apart, and, despite musical and ancestral links, have distinctly different cultures. But there are some sadly striking similarities between the two cities, most notably the history of racist police violence and the movements to resist it. My first exposure to murderous police violence was on Dec. 4, 1969, when 14 heavily armed Chicago police officers, in a raid planned by the Cook County state’s attorney — the equivalent office of New Orleans’ district attorney — assassinated two Black Panthers and wounded several others in a pre-dawn raid on a west side Panther apartment. It was later learned that the raid was orchestrated by the FBI pursuant to its COINTELPRO Program. I was a law student at that time, working for the fledgling People’s Law Office. My colleagues and I spent the next 10 days gathering evidence at the scene of the slaughter and then pursued a 13-year legal journey to expose the truth about the raid whose most prominent victim was a Chicago Panther leader named Fred Hampton. In 1980, I got a call from two remarkable young New Orleans lawyers — Mary Howell and Pam Bayer — who asked for my assistance in what have come to be known as the Algiers 7 cases, so named because seven officers were implicated in wrongdoing, three of whom were later convicted. After a white New Orleans cop was killed in the Algiers section of New Orleans, the police had gone wild. Seeking indiscriminate revenge, they killed four black people, including a woman who was in her bathtub. They also used torture tactics later revealed to have been common practice in Chicago. The violent and racist parallels to Chicago — Hampton had been killed in his bed, in part as retaliation for a deadly Panther/police confrontation — were obvious to all of us. Mary and Pam, together with the progressive New Orleans community, fought for the next several years to establish the truth about Algiers 7 as we had in the Fred Hampton case. My Chicago colleagues and I have spent much of the past four decades fighting to expose another Chicago scandal involving racist police violence: a torture ring that used electric shock, suffocation, mock executions, and brutal beatings to extract confessions — many of them false — from more than 120 black suspects. These confessions were used to send these men to prison, and some to death row. The evidence would later show that the state’s attorneys’ office was complicit at every level and that the torture was imposed with the knowledge and implicit encouragement of the highest local political and police officials, most notably then State’s Attorney (and later Mayor) Richard M. Daley. As I would later learn from a notorious U.S. Supreme Court decision (Connick v. Thompson) when it came to wrongfully prosecuting and convicting black men and women on cooked evidence, the New Orleans district attorney’s office rivaled its Chicago counterpart. In recent years both New Orleans and Chicago have led the nation in wrongful convictions resulting in exonerations. As the depth of Chicago’s racist torture scandal was coming to light, just after Hurricane Katrina New Orleans police went on another rampage, this time in the Henry Glover and Danziger Bridge cases. The wanton and deadly violence, and the blatant cover-ups that followed, once again echoed the deadly Panther raid and the police torture cases in Chicago. 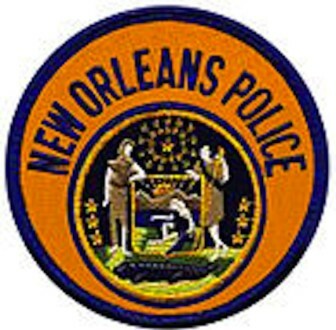 The outrageous nature of the police conduct in the Glover and Danziger Bridge incidents led the federal Department of Justice to investigate the unconstitutional policies and practices of the NOPD, as Mary and fellow lawyers and activists had been doing in New Orleans for decades. In Chicago, multiple civil lawsuits by the Peoples Law Office and others, over decades, exposed the racist underpinnings of lethal police misconduct. In New Orleans, in addition to civil lawsuits there were multiple federal criminal prosecutions. These lawsuits and prosecutions ultimately proved to be an important stepping stone for the Obama Justice Department to obtain a wide-ranging consent decree that mandated important police reforms of the NOPD, a decree that keeps the department under federal monitoring to this day. In Chicago, the decades long struggle against police torture has led to a number of significant victories. As chronicled in my new book, “The Torture Machine, Racism and Police Violence in Chicago,” Jon Burge, the ringleader behind these atrocious practices, was fired after 20 years of systemic torture was publicly exposed and, more than 15 years later, was ultimately sent to federal prison for perjury and obstruction of justice for denying the torture. Twenty men have been fully exonerated because their confessions were exacted by torture, Illinois’ death row was cleared and the Illinois death penalty was later abolished. Chicago’s shame was underscored when the UN Convention Against Torture, in an official report, likened the systemic torture in Chicago to that perpetrated by the U.S. at Abu Ghraib and Guantanamo Bay. Perhaps most significant, in 2015, thanks to an intergenerational and interracial movement, Chicago’s City Council approved a package of reparations for the survivors of police torture. It included financial compensation to those survivors who had not been previously compensated through lawsuits, a full mayoral apology, a center for the treatment of torture survivors and their families, job training and educational opportunities, a public memorial to the survivors, and a requirement that the torture scandal be taught in the Chicago public schools. On Dec. 9, 2016, New Orleans Mayor Mitch Landrieu convened a “healing prayer service,” and announced a $13.3 million settlement in three of the 2005 cases. As Chicago Mayor Rahm Emanuel had done 18 months earlier, Landrieu gave a heartfelt public apology. The jury is still out on the long-term effectiveness of the reforms in New Orleans, and has just begun to deliberate in Chicago. The victims to whose families he apologized were Raymond Robair who, a month before Hurricane Katrina, was stomped and kicked by a NOPD officer in Treme, causing internal injuries that killed him; Henry Glover, who was slain by an NOPD officer on the Friday following the hurricane and whose body was torched by another officer; and Ronald Madison and James Brissette Jr., who were killed two days later when a truckload of officers under the mistaken impression that officers had been met by gunfire near Danziger Bridge, jumped out and fired indiscriminately at the pedestrians on that bridge. Drawing on her more than 40 years of experience fighting for justice in police violence cases, Mary Howell called the apology “unprecedented” for New Orleans. As Chicago entered 2019, its police department, like the NOPD, found itself subject to a consent decree and a federal monitor. Public outrage after the 2015 release of a videotape that showed a Chicago police officer shooting down a 17-year-old black youth named Laquan McDonald with a fuselage of 16 shots, had compelled the Obama administration to initiate a pattern-and-practice investigation of the Chicago Police Department, similar to the NOPD investigation. Building on evidence that the People’s Law Office and other lawyers and activists had developed over the previous 25 years, the federal Department of Justice issued a scathing report and, just ahead of President Trump’s inauguration, obtained an agreement in principle for a consent decree with the city. The Trump administration quickly attempted to void the agreement, but the Illinois attorney general, spurred on by community pressure, took charge and obtained the decree over the objection of then-U.S. Attorney General Jeff Sessions. New Orleans does Mardi Gras. The Windy City dyes the Chicago River green in honor of St. Patrick. These varieties of municipal self-expression reflect deep cultural differences. But when it comes to police racism and unwarranted violence — as well as to citizen efforts to resist and reverse this notorious history — Chicago and New Orleans are indeed sister cities. Flint Taylor, a founding partner of the People’s Law Office in Chicago, has been counsel in numerous high-profile civil rights cases over the past 48 years, including the Fred Hampton assassination case, the Jon Burge police torture cases and the Greensboro case against the KKK and Nazis. He will discuss his new book, “The Torture Machine: Racism and Police Violence in Chicago,” on April 2 at 6 p.m. at the Community Book Center, and on April 3 at 6 p.m. at Octavia Books.